If this is all the love there is, then that’s fine by me. 5 months into my life changing journey and my heart is pounding with love. No, don’t leave me at this point for fear I am about to give Barbara Cartland a run for her money! The last 5 months have given me opportunities to explore my emotions, my memories and my mind. Opportunities unique to a refresh and restart button, an internal switch that has accepted the time for change, embraced Clean & Lean and thereby led to clarity. 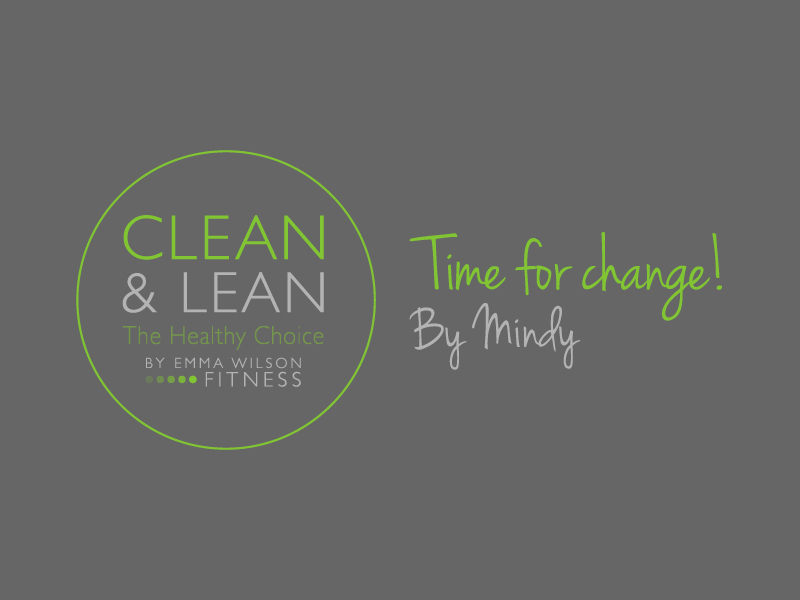 Clean & Lean by Emma Wilson Fitness encourages you to make tweaks to your time management, to fit in meal planning for the week, to squeeze in the exercise that you claimed you never had time for and as importantly, gives you at least 10 minutes of everyday to explore your thoughts and emotions. Good mood food is what Emma will refer to in her daily vlogs as she challenges you to reflect on your attitudes / mind-sets and see the positivity. It’s the good mood food of the Clean & Lean nutrition programme and Emma’s coaching that sets your heart aglow. “Life on earth – it’s hard but there’s only one chance at it.” Snow Patrol 2018. It’s a song of loneliness and loss of direction. A song that perhaps most of us can relate to, but we must grasp ourselves in the fall, recognise that we only have one chance at this and need to grab it by the balls, taking control of what can be controlled. Surround yourself with those that inspire you, give off your vibe and you’ll attract the right tribe! 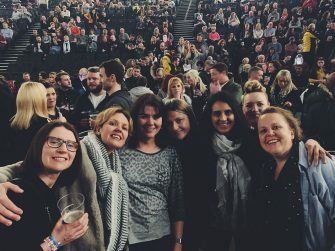 Stood at a Snow Patrol concert surrounded by some of the most fabulous women I know, warmth filled me. Confirming how lucky I am to be alive, to walk the walk, to love and be loved. Wearing your heart on your sleeve does make you vulnerable. You have to catch your breath sometimes and trust that they have your back as much as you have theirs. We all have our demons, our reasons for getting lost in the wilderness. The Clean & Lean programme helps you to take time to explore them. This is not necessarily an easy process, but a necessary one to allow you to move forward. I’ve acknowledged the rejection of my father, which triggered a period of grieving and the loss of a soul within my mum who now suffers dementia. I hadn’t realised that I’d eaten my way through these periods; I’d just looked for my happy places and always managed to find them. When the past occasionally comes to haunt you, it is the power of belief in yourself that helps you to brave the challenge and ride the wave. The Clean & Lean programme empowers you, arms you with the tools to cope and surrounds you with a group of like-minded people who are all there because they all have their own complications to work their way through. I want to share the overwhelming goodness and help to make everyone feel as happy, positive and in control as they can be, by being nutritionally aware and positively supported through the Clean & Lean programme. And you know what, when my friend said to me “If this is all the love there is, then that’s fine by me”, then I know we are lucky to be alive, to be loved and be a part of something so special. Clean & Lean by Emma Wilson Fitness is an online health & fitness course that really does change your life. Offer it commitment and it really does reap its rewards! Anything is possible; you can become the best version of yourself. If you want to look into becoming the best version of yourself, then Clean & Lean by Emma Wilson Fitness could the right choice for you.